The first cup of cocoa always tastes the best, according to Rin. 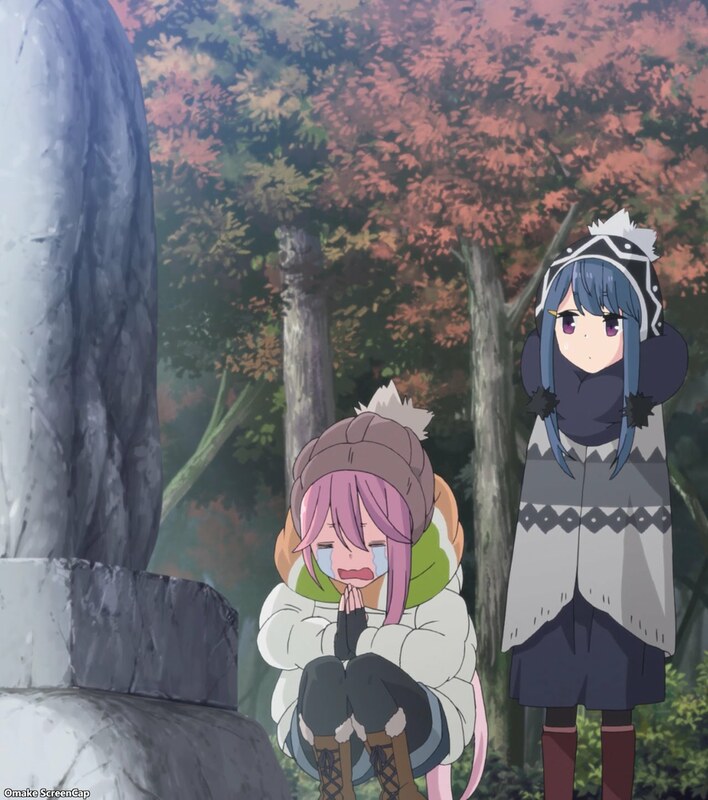 Nadeshiko prayed that the mysterious demon bull wouldn't visit them, but Rin solved her worries by telling her to go to sleep early. Out of sight, out of mind for Nadeshiko! 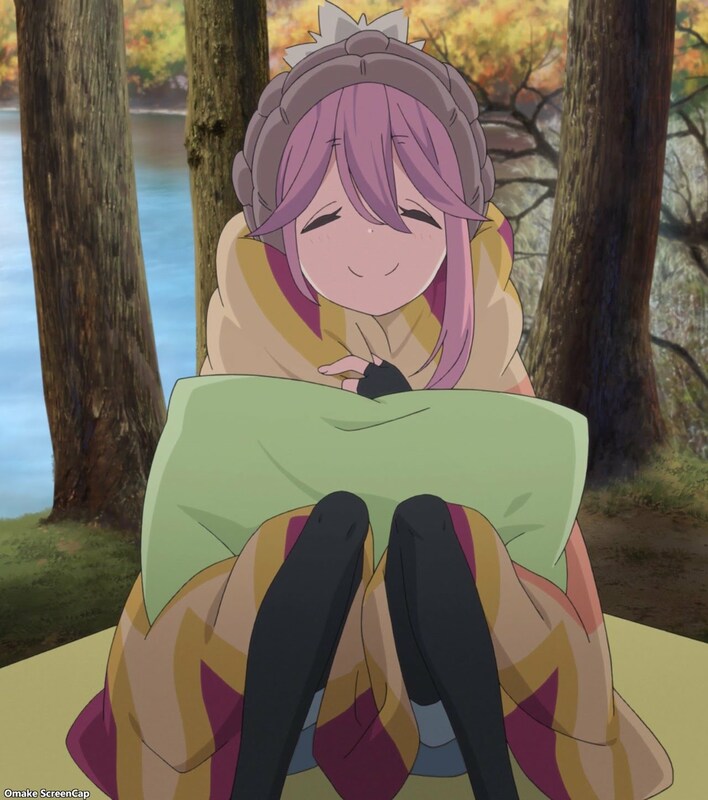 Nadeshiko reacted to the prices of camping equipment. Different tents and ground covers can be expensive, but Nadeshiko was happy to learn from Rin you could always use a cheap tarp for a ground sheet. After setting up camp, Nadeshiko met their neighbors. 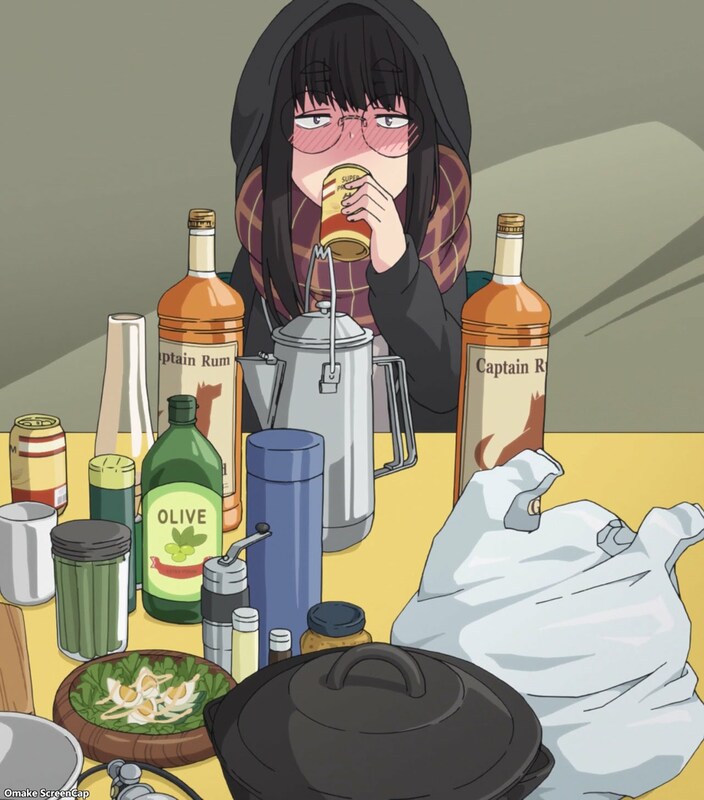 One very drunk older sister type just might become their club advisor when she starts teaching at their school. 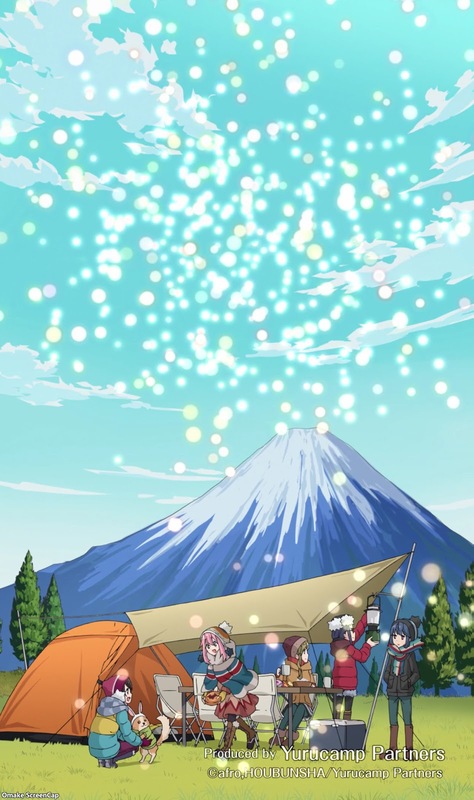 Camping is all about exploration and taking pictures for Nadeshiko and for Rin it's all about enjoying campfire cooking. I'm hoping to see this scene from the opening credits fairly soon.